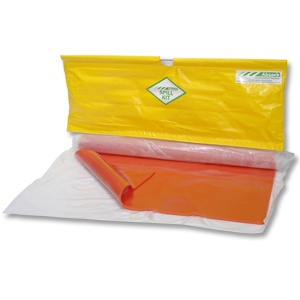 The Drain Seal prevents spills entering drains, grates or manholes. It’s tacky and flexible so it quickly seals the drain, without wasting time with adjustments. It resists a wide variety of chemicals and cleans easily with soap and water after use. The drain seal is available in several sizes or can be custom made. • This is not for permanent installation and can’t handle vehicle traffic. • Be sure to wash and wrap the Seal in plastic to maintain reusability.